More than 180 million years of history begins at Studland Bay. The Jurassic Coast is a UNESCO World Heritage Site stretching for 95 miles from Old Harry Rocks in Studland Bay to Exmouth in Devon. It is one of the world’s natural wonders, a protected coastline ranking alongside the Grand Canyon and Great Barrier Reef in global importance. The rocks along the Jurassic Coast have been carved by the sea into bays, beaches, cliffs, stacks, arches and landslides revealing layers of sedimentary rock etched with the history of planet Earth. Beaches and cliffs along the Jurassic Coast have revealed an abundance of fossils from spectacular skeletons and dinosaur footprints to tiny sea shells and worm burrows. From these much has been learnt about how animals and plants lived and behaved millions of years ago. Nearby Kimmeridge features some of the most important geology anywhere along the coastline with some of the local area’s most accessible marine wildlife. 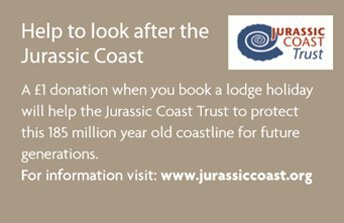 Drop in at the Purbeck Marine Wildlife Reserve and Fine Foundation Centre or The Etches Collection – Museum of Jurassic Marine Life, to learn more.